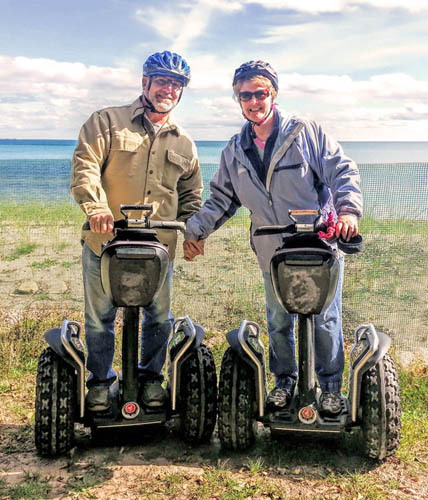 Off-Road Segway Adventures was founded in 2010 by Steve Seaquist so visitors could learn about the rich history of Door County and see the hidden scenic beauty – all while having a great time speeding through the back country on an Off-Road Segway. Now owned by Rick and Julie Rogers, they continue to share Door County’s heritage of amazing landscapes, cherished landmarks, quaint villages, and picturesque bluff lined shores. Well-known for combining humor with bits of trivia, Rick creates an experience that is both fun and educational for the whole family. It's more than a ride. It's an experience. Join us! Adventure is out there!